When you’re taking off on your next trip,wherever it may be, you may be wondering how you might keep in contact with friends and family especially if you’re planning to take off somewhere remote and wild, unlikely to have internet connections at will like many other places. If you are travelling with your family it could be even more important to have internet at hand for the kids during those down times when nothing much is happening. This might play on your mind a bit – the lack of communication between you and those back home, or perhaps your family worries for you as you hit the road to far off and amazing places. This is why finding places either with internet, or bringing your own can be extremely beneficial to you and your family to make sure you can stay in contact regularly. Take My Own Internet? What? That’s right! With the advent of so many different speeds and forms of internet such as wireless, technology has come leaps and bounds in terms of accessibility. Tep Wireless has honed in on the market of needing internet while travelling – and by that we mean almost literally anywhere you travel – to help stay connected to news and happenings back home, to check in with family to let them know you got where you’re going alright and the like. With Tep Wireless you get a small hand held device which emits a wireless internet signal. You rent the device from Tep Wireless and pay for the length of usage. If you’re going away for three weeks, you pay for three weeks and so on. Of course there are other options for longer trips or shorter trips and the longer the trip the cheaper each day of access is. Tep Wireless cover a number of countries in their coverage area, so make sure you check out their website to see if they cover the area you’re planning to travel to. This Means I Can Have Internet Anywhere? Yes! Tep Wireless will help you create your own “on the go” internet connection with a battery life that lasts up to 8 hours. The radius of the signal is around fifteen metres, which means that friends or fellow travellers can piggy back off your connection as each wireless product is given their own unique identifying connection password that you can give out to others if you like. The device comes with its own carrying kit, manual and all the chargers and things you need to make sure it lives up to your expectations. You can rent or purchase additional extras such as an external battery pack to keep your Tep Wireless device charged up even longer than 8 hours – perfect for those on the go in the wilds without internet access and sketchy power supply, or if you’re camping! You can rent the device for as long as you need it, but if you’re planning to head away for a long time or you are intending to use the device on subsequent trips that happen frequently it may be in your best interest to actually purchase the device and then only pay for the connectivity when you use it. Tep Wireless overall works brilliantly and allows you easy internet access where ever you are through the use of local 3G/4G connections or other available in the country. It lets you connect up to five devices to one Tep Wireless device, allowing you and your friends to enjoy internet anytime, anywhere. It’s perfectly safe with great security so you can rest easy with all of your internet browsing and downloading. Additionally there are no data caps or limits, so you’re free to really use all the internet you want, and with their 24 hour customer service through a number of ways you can be assured of a great internet service where ever you are in the world. 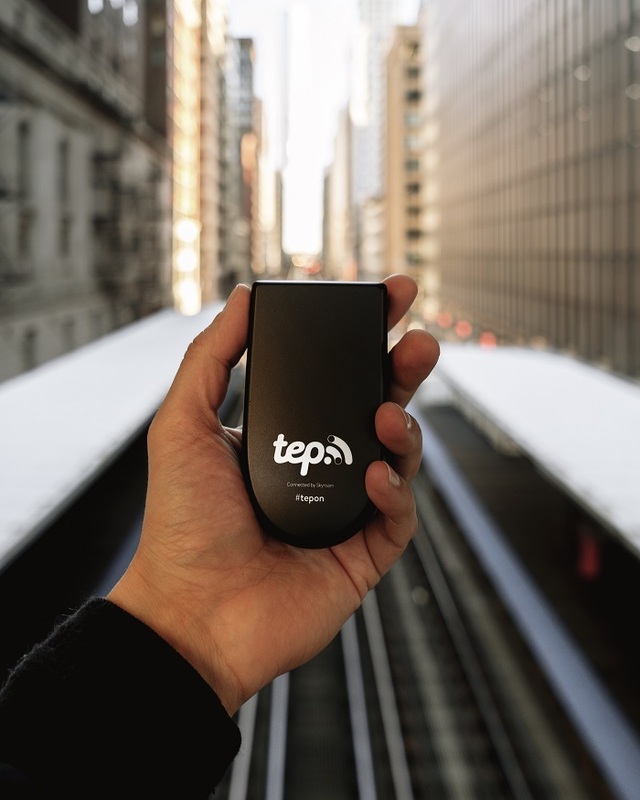 In closing, the Tep Wireless device is really something that every traveller needs in their travel pack to ensure continued connection on the road. Don’t leave home without it!